1. To have a better Philippines by electing the right government officials starts from the lowest post in Barangays up to the Presidential hopefuls. 2. To choose better candidates who will represent the masses. 3. To elect public servants who are patriotic, ready to sacrifice their life for the Filipino people and will help the Philippines to be a first world country once again. Filipinos right now are 100 Million according to statistics and based on the survey that our economy is getting stronger in terms of investors and employment rate which we're not everyone believes because of the visual poverty that we can see around like growing of indigent people in rural and urban areas and price increase of basic goods and services over the past years. #PILIpinas is one way to enlighten, empower and share awareness to everyone on who are the right people to vote for this coming election. 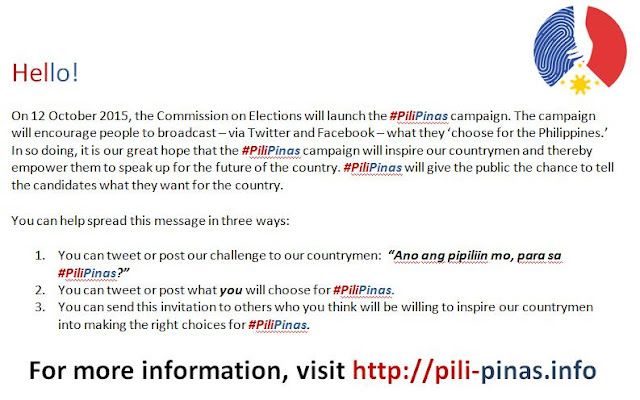 #PILIpinas will give the public a chance on what they like to tell to the candidates via Twitter and Facebook. 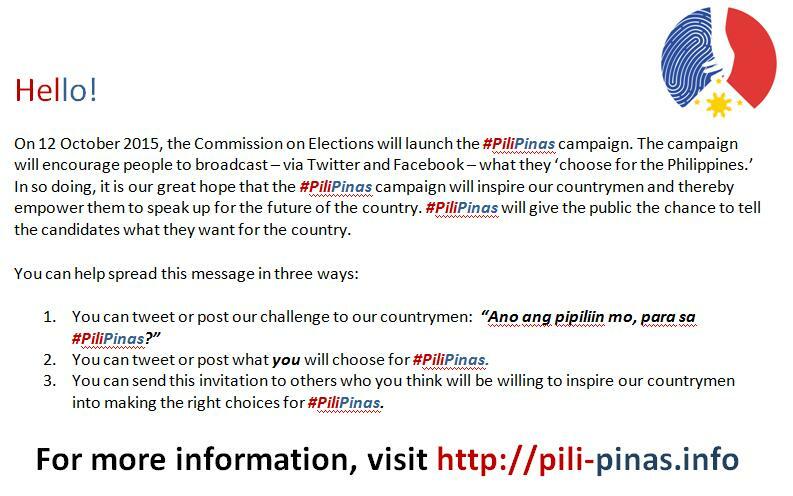 For more information please log on to http://www.pili-pinas.info.